Kumar Gandharva – Indian classical singer. 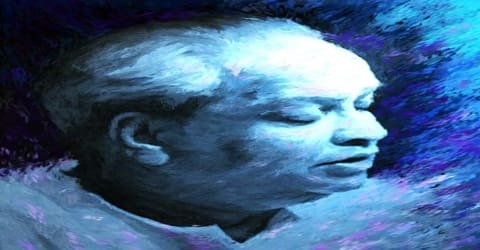 One of the most famous Hindustani classical singers in India, Pandit Kumar Gandharva was born on 8 April 1924 in Sulebhavi near Belgaum, Karnataka, India in a Kannada speaking Lingayat family. Known for his unique singing style, Kumar broke the traditional method of singing the gharana (a form of classical music). He, in fact, deviated from the age-old norm and came up with his own style of classical music. Kumar was a child prodigy and a genius at creating innovative compositions. Disabled in his youth by the loss of the use of a lung, he found a new life in his music. It is said that ill health had majorly affected his voice in the coming years, and thus he had to develop a new style of singing characterized by short phrases and a very high pitch. He spent his temporary forced retirement in meditative and thoughtful concentration on the study of music. This helped him to emerge from the ordeal as a much matured and seasoned artist with newly sharpened creative faculties. A renowned Indian Hindustani classical singer, the unique feature about his singing style was that he refused to adhere to the specific tradition and rules of any particular musical Gharana. Though he may not have ascended the same level of fame as some of his contemporaries, he enjoyed the ample support and affection of his own ardent fans. His style of pronunciation was unmatched and he believed that words, if pronounced properly with the correct feel, can be very powerful. His style of singing also included many dramatic gestures and smiles, which was thoroughly enjoyed by his audience. He was a gifted singer who fought against formidable odds to emerge victoriously and dedicated himself solely to the study and advancement of music. 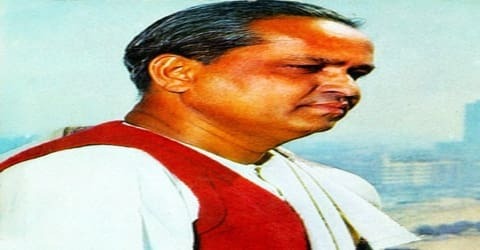 Kumar Gandharva, by name of Shivaputra Siddharamayya Komkalimath, was born as Shivaputra Siddramayya Komkalimath, on April 8, 1924 in Sulebhavi, Belgaum District, Karnataka, India, to a Kannadiga couple. By the age of five Kumar already showed signs of musical genius, appearing on stage at the age of 10. When he was 11, his father sent him to study music under the well-known Classical teacher, Prof. B. R. Deodhar. His mastery of technique and musical knowledge was so rapid that Gandharva himself was teaching at the school before he had turned 20. By his early 20s, Gandharva was seen as a star of music and was praised by critics. Kumar Gandharva married Bhanumati Kans, another vocal teacher at Deodhar’s school, in April 1947 and moved to Dewas, Madhya Pradesh. The couple was blessed with their first child, Mukul, around 1955. Unfortunately, Bhanumati died in 1961 during their second child’s birth. Then Kumar married Vasundhara Shrikhande, one of his fellow-students at Deodhar School. The couple formed a memorable duo in bhajan singing and she also provided vocal support to his classical renditions quite often. They were blessed with a daughter, Kalapini Komkalimath, who also grew up to be a musician. Some of Kumar Gandharva’s ideology is carried forward by his son and daughter, as well as students such as Madhup Mudgal, Vijay Sardeshmukh, and Satyasheel Deshpande. Kumar Gandharva Foundation Mumbai has been formed by his student Paramanand Yadav which works in the development of Hindustani and Carnatic Music. Kumar Gandharva’s grandson Bhuvanesh (Mukul’s son) has also made a name for himself as a classical singer. At a young age, Kumar was inflicted with the deadly disease tuberculosis which left him with just one functioning lung in his body. It was a six-year-long, near-fatal illness during which he was forbidden from singing. During this difficult phase, Kumar would spend time by listening to the songs of birds, the rumbling of wind and to the songs sung by roadside entertainers. Based on the doctor’s advice, he even shifted to Madhya Pradesh, hoping the dry climate might improve his condition. But nothing would improve his chance of singing until 1952 when streptomycin was introduced to India. Kumar overcame this setback by developing an original style of singing, which relied on short, sharp bursts of music rather than the deep, sonorous, slow and long phrases that characterize Hindustani vocal music. In 1953, he delivered the first musical performance after his recovery. He created a whole series of concert programs which consisted of a set of raagas and folk songs arranged in a precise order with a common theme. Some of them are the seasonal theme programs like “Geet Varsha”, “Geet Hemant”, and “Ritu Raaj”. They clearly portrayed his revolutionary spirit and thus he is classified as a trendsetter. His style of singing attracted considerable controversy. Veteran singer Mogubai Kurdikar did not consider his vilambit (slow tempo) singing interesting and his own teacher Deodhar criticized some aspects of Kumar’s singing but their relationship was strained from the 1940s when Kumar Gandharva married Bhanumati. According to Pandharinath Kolhapure’s book on Kumar Gandharva, Deodhar was against the match. But the criticism mostly centered on his vilambit gayaki. 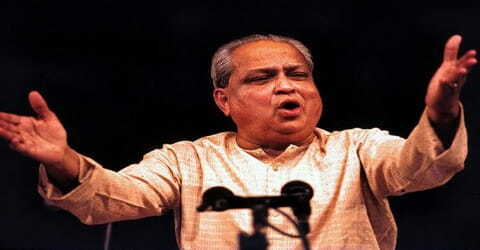 His singing in faster tempos, particularly his mastery over madhya-laya, was widely revered. During the course of his career, Kumar managed to discover new raagas which he termed as “Dhun Ugam Raagas”. Many of his discoveries such as Madhsurja, Ahimohini, Saheli Todi, Beehad Bairav, Lagan Gandhar, Sanjaari, Maalvati are now accepted as raagas and can be found in various modern texts such as ‘Raga Nidhi’. Kumar gave much importance to his musical accompanists. He even considered the role of a Tampura player to be as important as the main vocalist for the concert to be successful. Vasant Acharekar, his friend and Tabla player, went on to take care of his activities as a musician for a long time. Vasant’s son, Suresh Acharekar, also accompanied Kumar in a number of concerts as a Tabla player. In his long and prosperous career, he also experimented with other genres of music like devotional songs known as ‘bhajans’ and folk songs. He used his own music to heal himself out of a near-death situation and demonstrated in his own lifetime the power of healing that music offers by opening out newer avenues. 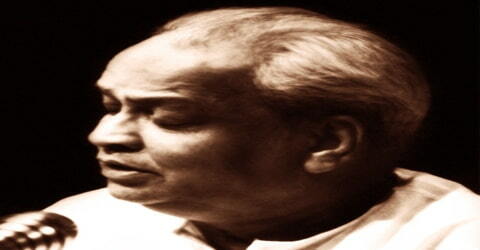 While experimenting with the traditional Hindustani classical music, he gave life to many new ragas. Collectively, he called them ‘Dhun Ugam Raagas’. Many such ragas like Madhsurja, Ahimohini, Saheli Todi, Beehad Bairav, Lagan Gandhar, Sanjaari, and Maalvati are now widely accepted and practiced by many aspiring musicians. Another important contribution of this great musician was the creation of a series of concert programs. He would choose a theme and then arrange a set of ragas and folk songs in the precise order in accordance with the theme chosen. ‘Geet Varsha’, ‘Geet Hemant’ and ‘Ritu Raaj’ were some of the themes chosen by him. For a long spell, Kumar Gandharva’s activities as a musician were managed by his friend and tabla accompanist Vasant Acharekar. 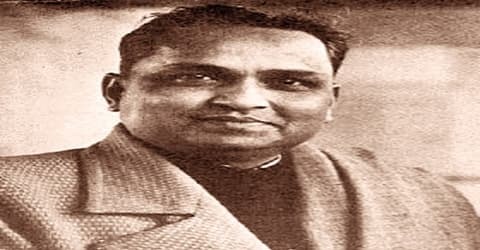 Acharekar was Vasant Desai’s assistant in the 1950s but later devoted himself fully to his role as an accompanist to classical singing until his death in the late 1970s. Kumar Gandharva had friendly relations with noted Marathi literary couple Pu La Deshpande and Sunita Deshpande. Since Kumar was always fascinated with different types of music, which led him to experiment on them, it should not come across as a surprise when one gets to know that he was a musicologist as well. During his recovery days, he did his fair share of research on different aspects of music. 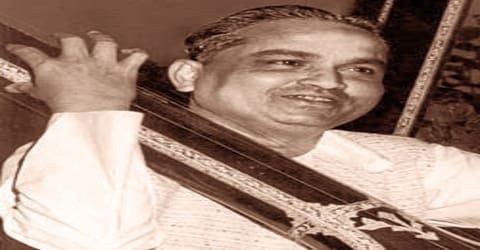 He not only questioned the traditional form of classical music but also came up with ideas to manipulate the standard ragas and present them in a much different way. His idea of ragas, thumri, and Tarana was quite different from that of the conventional singers. Apart from being an extraordinary singer, he was also a musicologist. He had his own thoughts about different raagas, styles of rendition, and different composition types. His remarks about composite ragaas, Thumri and Tarana are quite different from the conventional ones. For him, every lyrical form had its own life and needed to be honored for its own sake, and not alone for the sake of the raaga. His last public concert in Bombay took place on November 22, 1991. Kumar Gandharva was awarded the Padma Bhushan in 1977. In 1990, Kumar Gandharva was honored with the ‘Padma Vibhushan’, the second highest civilian award in the Republic of India. 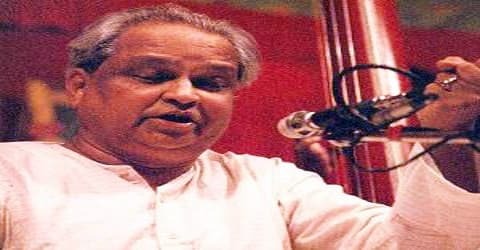 Kumar Gandharva died on January 12, 1992, in Dewas, India, at the age of 67. His mortal remains were cremated with full state honors and his funeral was attended by hundreds of music lovers from all over the country. One of his most notable works was his unique style and creativity which resulted in compositions in the same raaga in both fast and slow paces, something rarely achieved by a north Indian musician. Kumar was also perhaps the only one in this century to have dared to present a whole concert in the folk music of Malwa. Another one of his best musical experiments was the one-hour long raaga expositions in which he would frequently perform as many as six different pieces in varying tempos, many of which were his own compositions. 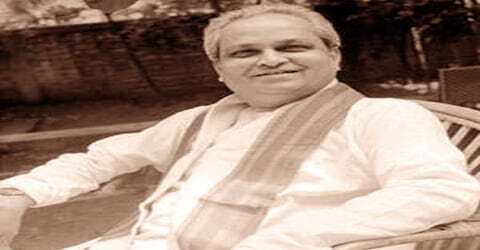 Kumar Gandharva had incorporated different styles which included a slower tempo in Hindustani classical music. This attracted controversies and criticisms from many traditional exponents including the well-known singer Mogubai Kurdikar. He criticized Kumar for his unusually slow tempo, saying that his style of singing made the classical music less interesting. Kumar’s teacher Deodhar also criticized his student’s experimentations, saying that traditional forms should be untouched.